CarolOates: Blood of a Mermaid Tour, plus win a bunch of Goodies! Blood of a Mermaid Tour, plus win a bunch of Goodies! Blood of a Mermaid, Book 2 in the Mermaids of Cape Cod series, is available now! Shea MacNamara is back, still trying to navigate his newfound abilities and the world under the waves. To celebrate, we’re giving away a bunch of goodies from a fantastic group of YA authors(my books are in there), with ebooks, swag and signed paperbacks! 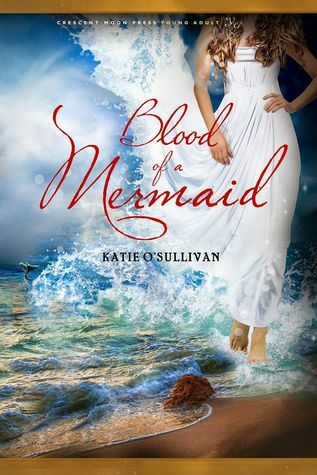 There’s also a Goodreads Giveaway for another signed copy of Blood of a Mermaid, and a sale price for the first book in the series, Son of a Mermaid – only $2.99 on Amazon through the end of May! So what are you waiting for? Splash into Summer, mermaid style! Great, right? Don’t you want to rush out and buy it? Son of a Mermaid, available through the end of May for $2.99 on Amazon! Thanks for hosting me, Carol! And thanks for donating copies of your books for the Rafflecopter giveaway!